Member of the Palmae (palm) family. Native to Lord Howe’s Island (Australia) in the South Pacific. Common relatives are palms including, coconut, date and oil. Plant is classed as a monocotyledon, leaves with mostly parallel veins. Fronds (leaves) feather-like at end of stalk. Stems are green showing scars of fallen leaves. Can grow to 60 feet but more commonly grown as a stem-less juvenile. Chill sensitive, store above 50F or higher. For example, can be stored for 28 days at temperatures ranging from 50-66F. The specific epithet name forsteriana bears the name of William Forster, Senator, New South Wales. 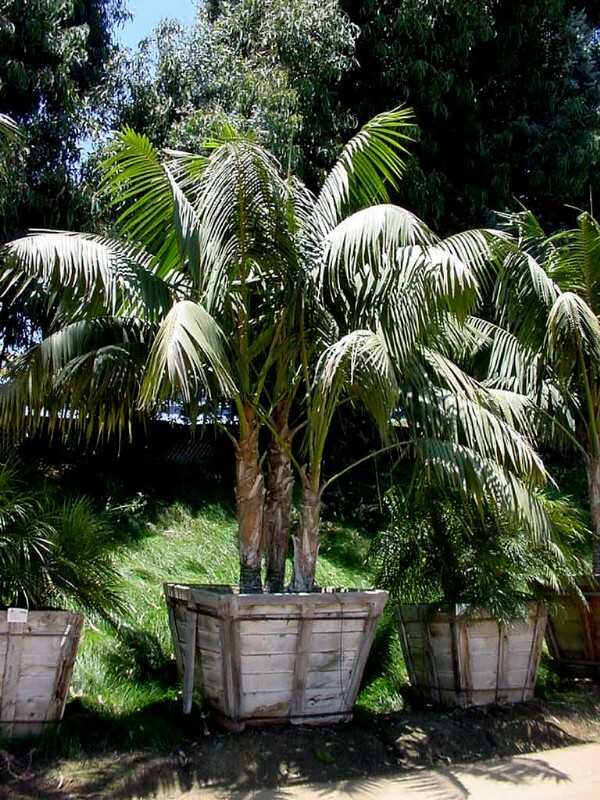 Often sold as Kentia Palm. This is a very slow growing species that will do well under indoor conditions as long as leaves are maintained, kept healthy.